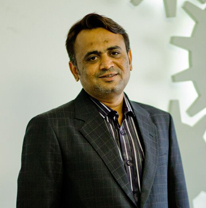 Samir brings in 18 years of experience in multiple functions, in the related sector. He has worked his way upwards from grass root levels to middle and top management roles in Sales, Engineering and Project Management. A mechanical engineer, with exemplary organizing and management skills, he provides leadership to the entire Supply Chain of Shubham, which includes Materials, Manufacturing and Finance. Loaded with amazing endurance and humility, he is an inspiration for Team Shubham. 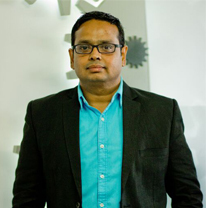 Vinod leads Marketing, Sales, Design and Projects functions at Shubham. He is the most enlightened person on emerging trends and transformative ideas in water and waste water sector. He has earned 11 meaningful years in the water sector with his pursuit for excellence. With Chemical Engineering close to his heart, he drives and enables creativity and innovation across all streams of engineering and technology. A true explorer of current and future possibilities in water & waste water sectors, he is also a friend, philosopher and guide for fosters the skills and enthusiasm of the Young Team Shubham. 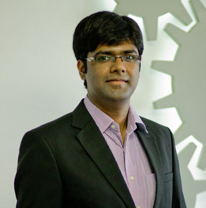 Hiren leads project sites and operations. With 15 years of experience in sales behind him, he is deft at managing customer relationships. In addition, he independently handles all logistics and service functions at Shubham. 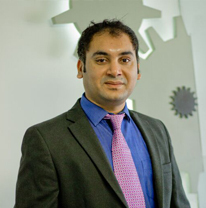 Pulkit, under the overall leadership of Mr. Vinod Malviaya, leads Segment Sales & Design. He leads post manufacturing activities, that is, Erection, Commissioning, and Customer Support until successful closure of the Projects. A mechanical engineer, and a management graduate, he is the youngest in the Top Management Team, with small but rich experience with a Multinational Corporate embraced around his achievements during academics.